​and multi-track recordings at live performances or at practice spaces. 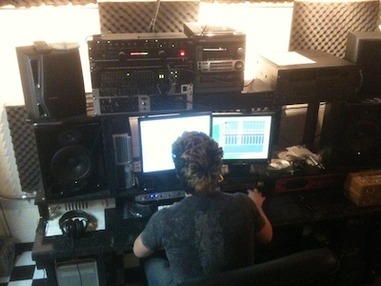 Contact: Nick Palazzo :: nick@ophurlabs.com​ for studio & live recording, and/or video production. Use Lotus Mastering for great professional mastering. - All recorded & mixed entirely on my own gear in various basements, bedrooms, and living rooms​​. ​- The OooDangs! & Pinto And The Bean were mastered by Lotus Mastering. The others were mastered by me. - "Be My Girl" covered by The Shakes & Rumbles is a live video. I did a multitrack recording of the audio at the show and mixed it later. ​​- Filmed on the Iphone 5, edited in Final Cut. Audio recordings produced, engineered, and mixed by me. - "Bath Salts" by The Ooodangs! features me drumming and my hands on the right side. I bring my gear to your show and multi-track record it, then mix it later. This is great to do when making a live video at a show. 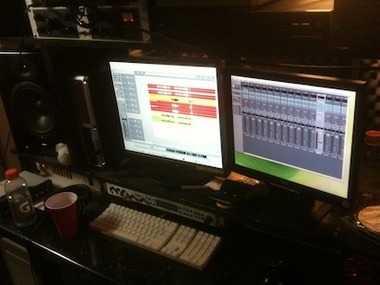 It's also a much faster way to record & release material, rather than an actual studio recording. - Videos of me drumming in one of my old bands called Facing Forward.